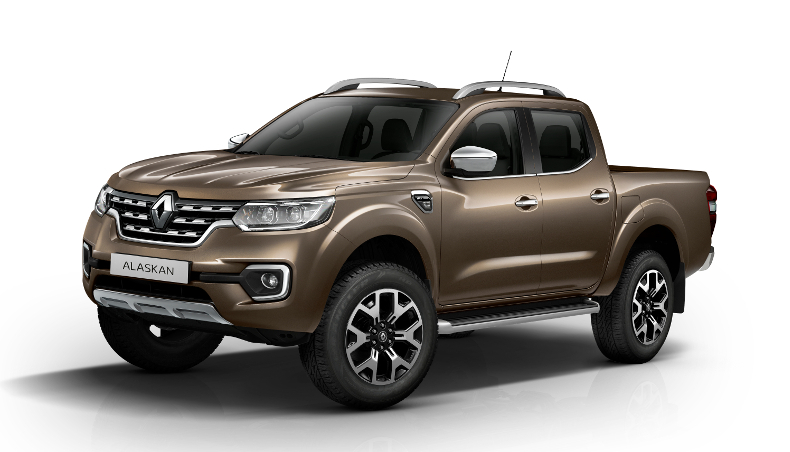 After its world-exclusive début appearance in Colombia in 2016, Renault’s first one-tonne pickup is stopping over at the Geneva International Motor Show. The exciting show Groupe Renault’s first pickup put on at a Medellín hacienda, in Colombia, was one of the highlights of 2016. 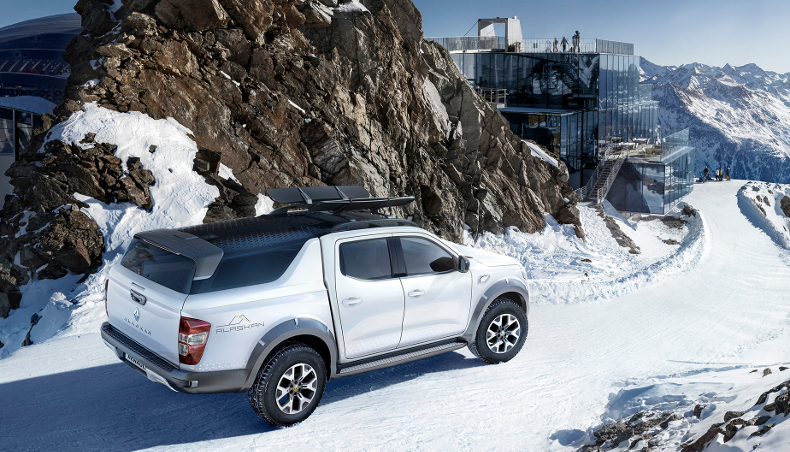 After initial release in South America, where Renault has long enjoyed a high market profile, Renault Alaskan will be coming to Europe in the accessory-rich version showing in Geneva, undaunted by anything the roads and tracks in the Old Continent might have in store for it. 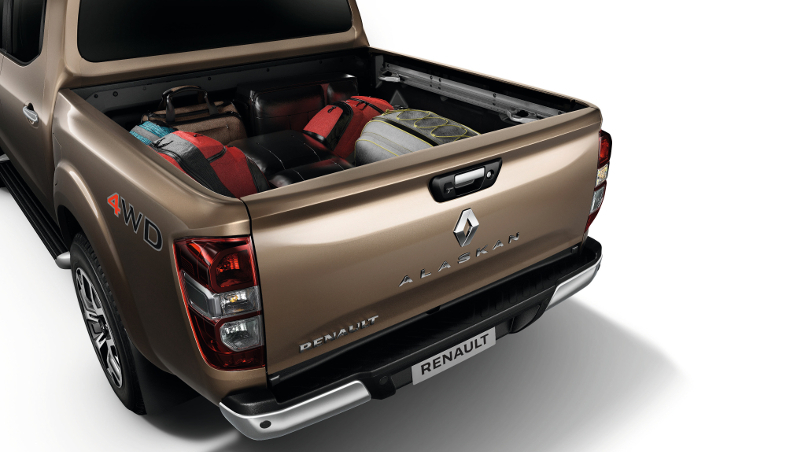 Renault’s first one-tonne pickup closely addresses the aesthetic expectations of customers in this segment, while clearly expressing the Renault brand identity. 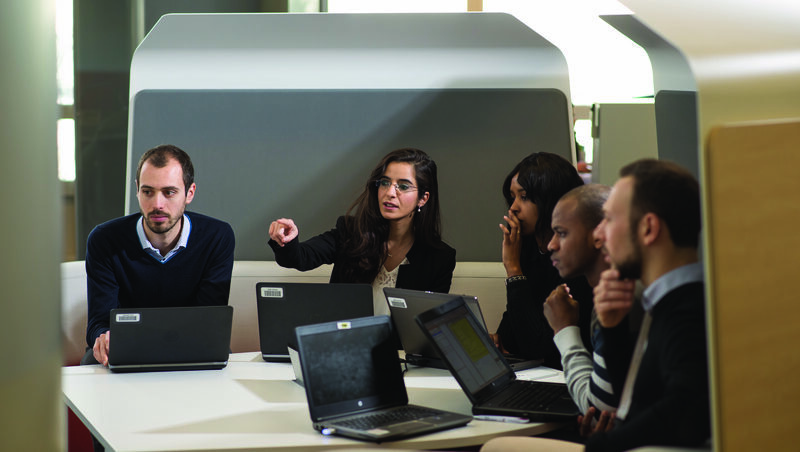 The elegant lines exude Renault’s signature design approach, starting with the distinctive front end that boasts Renault’s new visual identity attributes in the form of a large grille with chrome surround, a visibly robust bonnet and a proudly prominent badge. With the winter sports season in full swing at the mountain resorts around Geneva, the accessory-rich version makes a lot of sense, which explains the snowboards on the crosswise roof rails. And the satin white body colour is seasonal all right! With its powerful engine and ingenious design, Alaskan is the ideal vehicle for both everyday use and leisure outings. The five-arm rear suspension affords outstanding roadholding and comfort for all passengers, with no compromise to the car’s exceptional off-road capabilities (on the dual-cab version). 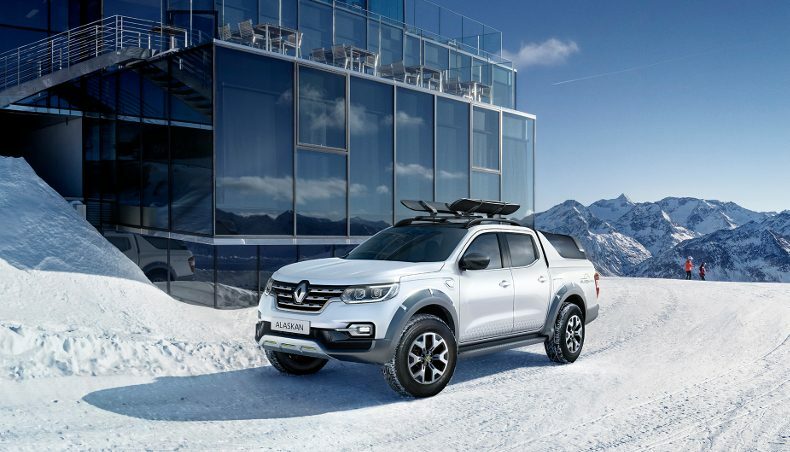 Renault Alaskan has a robust chassis giving it a payload of more than a tonne and a towing capacity of 3.5 tonnes (among the best in this segment). And the bed is as versatile and practical as they get. You can come and admire your next ideal road and track companion at the Renault stand in Geneva, or wait a few months till it gets to the showrooms. Release is set for around the end of the year.